White Cane Day Comes Early! White Cane Day came early this year, because Wawa could only fit us in on September 19th instead of a date in October. Regardless, we earned several hundred dollars for White Cane charities, thanks to the help of Lions Tara Smith, Steve Girone, Jules Olita, and new member Bart Allgeier. Join us in welcoming our two newest Horsham Lions Club members! Pictured above, left to right: sponsor and charter member Larry Glemser, new member Bart Allgeier, new member Nipul Patel, and PDG Ted Truver. Larry knows Nipul because they are both merchants, located near each other. And Larry knows Bart through his service in the military. At last count, we now have SIX new members in 2009 !! In August, we donated $150 toward the purchase of new eyeglasses for an Abington High School teacher's aid who could not afford them. In September, we donated $200 to cover the co-pay for two cataract surgeries for an elderly Ambler woman. 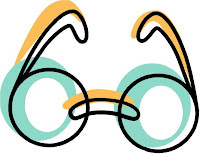 Also in September, we donated another $100 toward the purchase of new eyeglasses for a disabled Norristown woman. LIONS, this is the benefit that your efforts have given! FRIENDS, we cannot do this if we can't raise funds. Please support your local service organization!